The Okanagan-Similkameen is known for its hot and sunny summers, grand lakes and sandy beaches. This area extends west from Princeton, south to the USA border, east into the Monashee Mountains and north to High Country. The Okanagan Valley from Penticton to Vernon was formed over nine-thousand years ago when the Pleistocene-era ice-age retreated from the valley. Now a massive glacial lake is found in the valley floor. This glacial retreat left behind deposits of gravel, silt and sand creating a rich agricultural area known as the fruit belt and wine country. Further north, from Vernon to Armstrong, Enderby to the Shuswap Lake is dairy country. Long, hot days summers and cool evenings create a mild dry climate in which is Canada's only desert climate. There are over 100 lakes with good fishing and facilities in this region. Ranging from small farm-gate businesses to high-quality estate and commercial enterprises, some of the province's finest wineries are located in the Okanagan-Similkameen region. BC wines of excellent quality have won awards at international wine competitions in recent years. 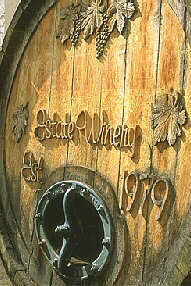 These wineries each have their own unique character, may it be from generations of European tradition or professional training. The Okanagan Wine Festival is held each year in late September to early October. Each winery presents its finest wines and offers various events such as grape stomping and elaborate dinners where guests may sample award winning vintages. Guided tours are available throughout the year.